(Ottawa, Ont.) 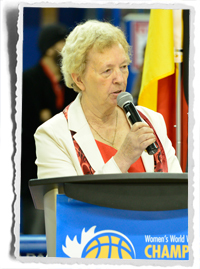 Wheelchair Basketball Canada (WBC) would like to congratulate former president Maureen Orchard on being among the 2017 class of inductees into the Canadian Paralympic Hall of Fame. Orchard will be inducted in the builder category at a ceremony on April 7, 2017 in Ottawa, Ont. 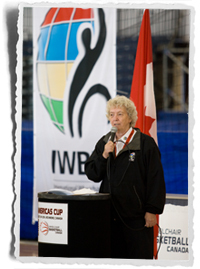 Orchard, a native of Winnipeg, Man., served as president of the International Wheelchair Basketball Federation (IWBF) from 2002-2014, where she championed the ongoing development of wheelchair basketball across all four international zones. Amongst her accomplishments, Orchard helped establish enhanced opportunities for junior athletes and women, including the introduction of the inaugural U25 Women’s World Wheelchair Basketball Championship in 2011. 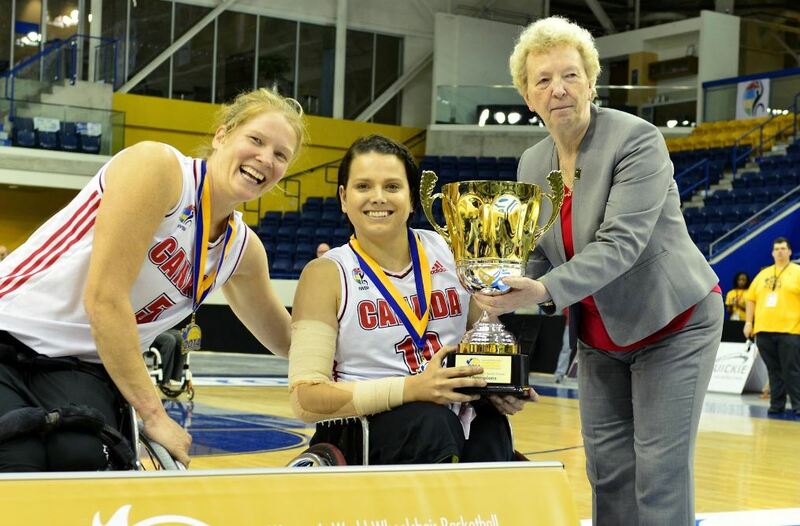 Prior to concluding her term as president in 2014, the IWBF celebrated the worldwide growth of the game with the two largest world championships in history including the women’s world championship hosted by Wheelchair Basketball Canada in Toronto. Orchard remains actively involved as the secretary general for the IWBF. She also served as president of the Canadian Wheelchair Basketball Association (CWBA) – now Wheelchair Basketball Canada – from 1993 to 1998. She was inducted into the CWBA Hall of Fame as a builder in 1998. Orchard will be inducted alongside athlete Karolina Wisniewski (para-alpine skiing), multi-sport coach Ozzie Sawicki and parasport builders Archie Allison and Carla Qualtrough, Canada’s Minister of Sport and Persons with Disabilities. .